Analysis: The Raiders have targeted a 29-year-old veteran with starting experience in Glennon to serve as Derek Carr's backup, though Nathan Peterman also plans to fight for a roster spot throughout the offseason. Glennon completed 15 of 21 passes for 174 yards and a score in two games with the Cardinals last season, but his overall resume as a pro includes 22 career starts as well. Analysis: Signed to a two-year, $8 million contract last offseason, Glennon attempted just 21 passes in two games while serving as Josh Rosen's backup. 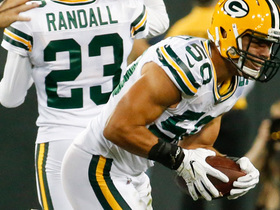 The 29-year-old shouldn't have too much trouble finding another No. 2 quarterback job. Analysis: Glennon saw fourth-quarter action for the second straight week, following a 10-for-14, 111-yard, one-touchdown effort in Week 15 against the Falcons. The 29-year-old signal-caller hadn't seen action in any other game prior this season, but he's been relatively sharp in relief the last two contests. Given the Cardinals' lack of postseason aspirations, Glennon could well see action again at some point during a Week 17 battle versus the Seahawks. 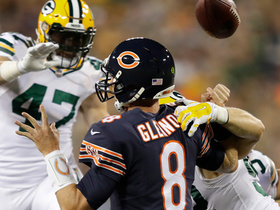 Analysis: Glennon opened the season as the No. 3 behind Sam Bradford and 2018 first-round pick Josh Rosen, but Bradford faltered so much that he lost the starting job in the fourth quarter of Week 3. Wilks is sticking with Rosen as the director of the offense moving forward, leaving Glennon as the direct backup and Bradford a weekly inactive. Analysis: Glennon has earned the No. 2 role at quarterback behind the rookie Josh Rosen, who will be starting for the first time in his young career Sunday. Sam Bradford is slated to be inactive while Glennon backs up Rosen. Analysis: With Sam Bradford and Josh Rosen (thumb) both carrying worrisome medical records, it isn't too surprising to see Arizona keep a third quarterback. The Cardinals signed Glennon to a two-year, $8 million contract during the offseason, ensuring they had a backup plan behind Bradford even if they came up empty in the draft. Things will have gone terribly wrong in the desert if Glennon actually steps on the field this season. Glennon completed eight of 10 passes for 69 yards and one touchdown during Thursday's preseason finale against the Broncos. Analysis: Glennon wasn't particularly impressive, but he at least showed he still has what it takes to be a serviceable backup quarterback in this league. 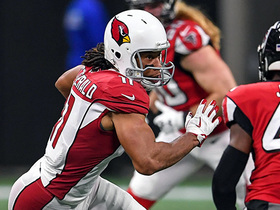 Unlikely to make the Cardinals' roster with Josh Rosen and Sam Bradford atop the depth chart, Glennon could be among the most attractive trade targets for teams in need of depth at the position, per Jason La Canfora of CBS Sports. Glennon (forearm) completed eight of 10 passes for 35 yards and no touchdowns in Sunday's 27-3 preseason win over the Cowboys. Analysis: Glennon converted 80 percent of his passes, but that number is essentially neutralized by his brutal 3.5 yards per attempt. The 28-year-old will soak up a good amount of preseason action in Thursday's exhibition finale against the Broncos, but is then likely take a back seat to veteran Sam Bradford and rookie Josh Rosen once the regular season commences if he retains a roster spot. Glennon did not play in Friday's preseason win over the Saints due to a forearm injury, Darren Urban of the Cardinals' official site reports. 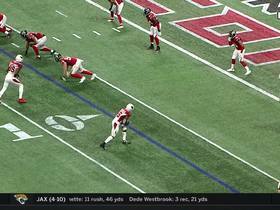 Analysis: During Glennon's absence Friday, rookie Josh Rosen completed 10 of 16 passes for 107 yards and a touchdown, as the latter saw a majority of the work at quarterback behind starter Sam Bradford. Upon his return from what appears to be a minor issue, Glennon will continue to battle with Rosen for the primary backup role, though Rosen took a major step forward in the team's second preseason game. Glennon will vie with rookie Josh Rosen to be the backup to starting quarterback Sam Bradford, Darren Urban of the Cardinals' official site reports. Glennon is signing a two-year, $8 million contract with the Cardinals, Ian Rapoport of NFL Network reports. 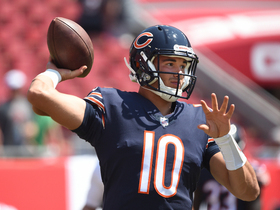 Analysis: The deal was reported only a few minutes after the Bears officially released Glennon, who produced only 6.0 yards per pass attempt in his four starts last season before Mitchell Trubisky took over. Glennon will provide depth behind Sam Bradford, who is joining Arizona on a much larger contract. 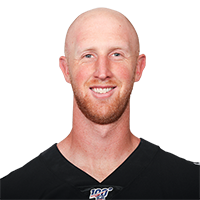 Glennon will sign with the Cardinals, Tiffany Blackmon of NFL Network reports. Analysis: The Cardinals quarterback room continues to grow as the team adds the former longtime Buccaneer after agreeing to terms with Sam Bradford earlier in the day. Glennon signed a three-year, $45 million contract with the Bears last season but only started four games before Mitchell Trubisky took over under center. It seems safe to assume that Glennon will enter the season as Bradford's backup, with the possibility of the Cardinals drafting a quarterback early still on the table. Bears general manager Ryan Pace confirmed that Glennon would be released when the new league year opens March 14. After starting the first four games of 2017, Glennon became Mitchell Trubisky's backup and didn't take a snap in the last 12 games of the year, ending the campaign with 833 yards and four touchdowns to go with five interceptions. Analysis: While functioning as the starter, he won one of four starts, but he easily could've had a win against the Falcons after having two dropped passes in the end zone on the final drive as time expired. He'll be one of the better backups in the league, as he'll go into the second of a three-year deal with the Bears in 2018, but even if he makes starts, it's unlikely he'll be anything more than a fantasy starter in leagues that start two quarterbacks. 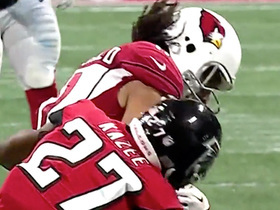 Arizona Cardinals wide receiver Larry Fitzgerald unleashes epic truck stick against Atlanta Falcons safety Damontae Kazee for a 26-yard gain. 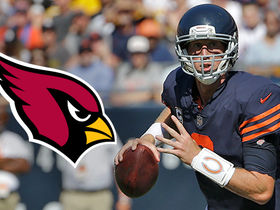 NFL Network insider Ian Rapoport reports that the Arizona Cardinals are signing former Chicago Bears quarterback Mike Glennon. NFL Network's Mike Garafolo explains why the Bears decision to bench QB Mike Glennon for QB Mitchell Trubisky was the right one. 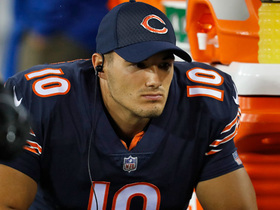 NFL Media's Charley Casserly breaks down the Chicago Bears' current QB situation. Green Bay Packers linebacker Clay Matthews records his 75th career sack and forces the fumble on Chicago Bears quarterback Mike Glennon. Chicago Bears quarterback Mike Glennon isn't ready for the snap, he botches it and the Green Bay Packers recover the ball. 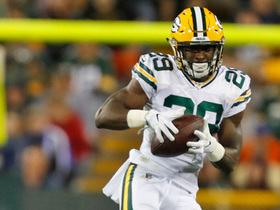 Kentrell Brice lands his first career interception for the Green Bay Packers in a picks off Chicago Bears quarterback Mike Glennon. 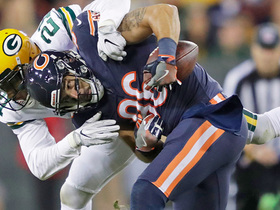 Chicago Bears tight end Zach Miller finds running room on a 29-yard catch-and-run up the middle.